The annual National Trails Day is the country’s largest celebration of trails, and a great opportunity to explore some of the 3000+ miles of trails in Kansas! 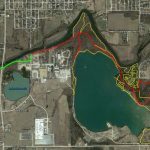 Trail news from the Sunflower State: Lehigh Portland Trails, Prairie Sunset Trail, Redbud Trail, Flint Hills Nature Trail, and more. A new Kansas rail-trail is taking shape in Iola, the product of an unusual level of cooperation between a city, a county, and a private landowner. 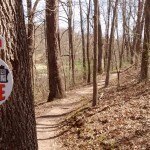 I was in Northwest Arkansas recently, and had a chance to ride a few of the many great mountain bike trails in the region. So much fun! 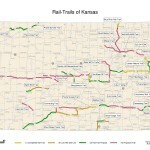 An updated 2016 version of the Kansas Rails-to-Trails Map documents continued progress of the ever-growing trail network in Kansas. Trail news from the Sunflower State: Blue River Rail Trail, Flint Hills Nature Trail, and more. 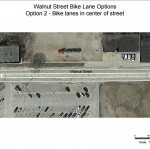 In Ottawa, Kansas, a recently-approved innovative bike lane design is being reconsidered after nearby property owners voiced concerns about parking. 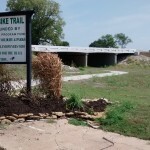 Connecting the Flint Hills Nature Trail to the Katy Trail, Sunflower and Kanza Annual Meetings, Lawrence trails, and more trail news from the Sunflower State. 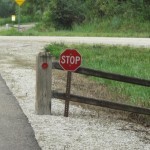 On Iowa's Raccoon River Valley Trail​, bicyclists are being ticketed $195 each for ignoring rail-trail stop signs. Sometimes. The Katy Hike/Bike Trail in Chanute, which had been partially closed during replacement of the K-39 bridge, is now open again.